Nola is an ancient Campanian town and a modern municipality in the Metropolitan City of Naples in Italy. It lies on the plain between Mount Vesuvius and the Apennines. It is traditionally credited as the diocese that introduced bells to Christian worship. 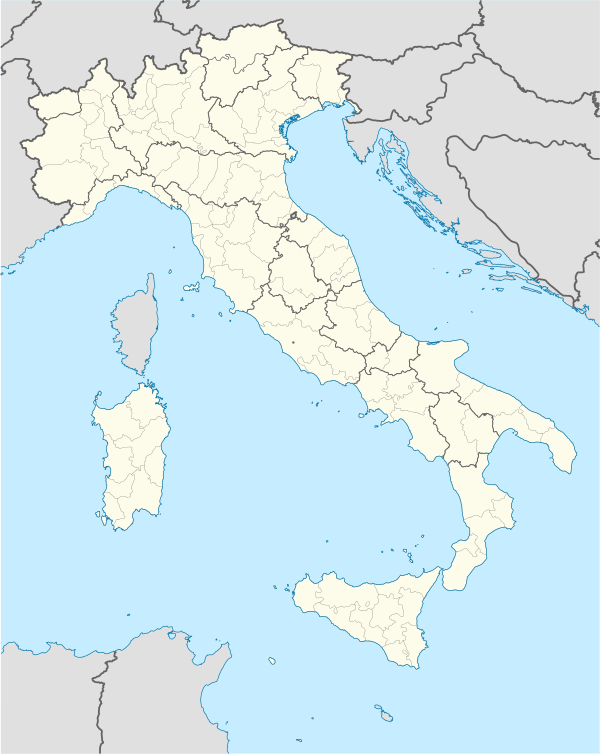 Illegal dumping of toxic wastes by the Camorra, however, has turned the surrounding area into a "Triangle of Death", with cancer rates far above the European average. Under Roman rule, the city was the site of the 1st, 2nd, and 3rd Battles of Nola during Hannibal's invasion of Italy amid the Second Punic War. On two occasions (215 and 214 BC), it was defended by Marcellus. It fell by treason to the Samnites during the Social War. They held it until their ally Gaius Marius was defeated by Lucius Cornelius Sulla, who subjugated it with the rest of Samnium in 80 BC. It was stormed by Spartacus during his failed slave revolt. The emperor Augustus died there on 19 August AD 14, in allegedly the same room his father died. Augustus and Vespasian settled colonies in the area. In the Roman road network, Nola lay between Capua and Lower Nocera on the Via Popilia. A branch road ran from it to Abella and Avellino. Though a relative backwater, Nola retained its status as a municipium, its own institutions, and the use of the Oscan language. It was divided into pagi, the names of some of which are preserved: Pagus Agrifanus, Capriculanus, Lanitanus. The discoveries of the pavement of the ancient city have not been noted with sufficient care to recover most of the plan, but a large number of Grecian vases were made at Nola, using its fine yellow clay and a shining black glaze. They are decorated with red figures. 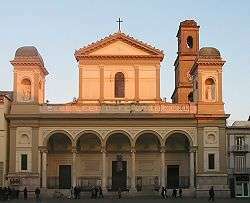 Today, Nola is an important suburb of Naples but most of its territory and economy are under the control of the Camorra, a branch of the Mafia. A major Camorra activity is the illegal—and unsafe—treatment of urban, chemical, and industrial wastes in the countryside located in the region between Nola, Acerra, and Marigliano. This formerly rich and green countryside is sometimes now called the "Triangle of Death". A 2004 study by Alfredo Mazza published in The Lancet Oncology revealed that deaths by cancer in the area are much higher than the European average. ↑ Object 463914 http://www.britishmuseum.org/research/collection_online/collection_object_details.aspx?objectId=463914&partId=1&place=35027&plaA=35027-3-1&page=1 Object 463914 Check |contribution-url= value (help) |contribution-url= missing title (help), British Museum, London: BM . ↑ Mommsen asserts that roads apparently ran directly to Nola from Neapolis and Pompeii, but Heinrich Kiepert's attached map does not indicate their route. ↑ Mommsen, Corp. Inscr. Lat., Vol. X, p. 142. 1 2 "Bell", Encyclopædia Britannica, 9th ed., Vol. III, New York: Charles Scribner's Sons, 1878, pp. 536–7 . This article incorporates text from a publication now in the public domain: Chisholm, Hugh, ed. (1911). "article name needed". Encyclopædia Britannica (11th ed.). Cambridge University Press. This article incorporates text from a publication now in the public domain: Herbermann, Charles, ed. (1913). "article name needed". Catholic Encyclopedia. New York: Robert Appleton.